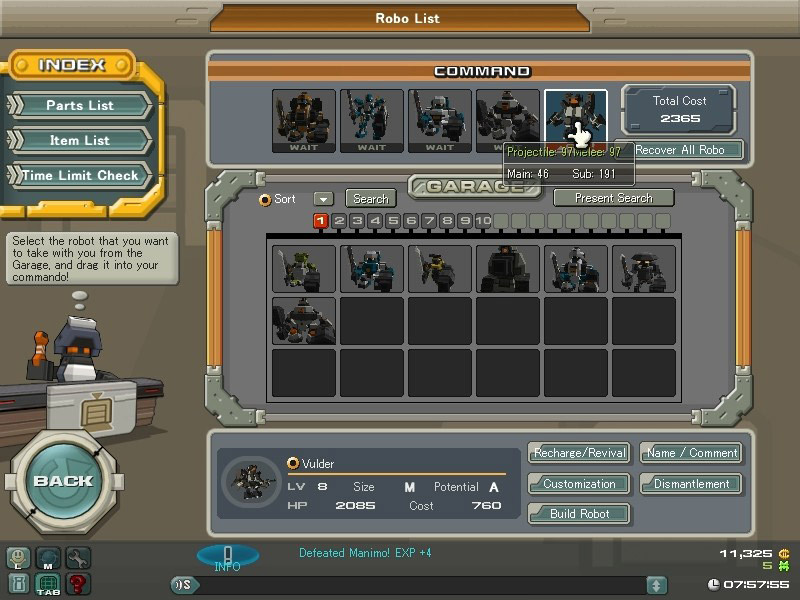 C21 Steel Battle Chronicles is a Action Role Playing MMO Game with robotic warriors. 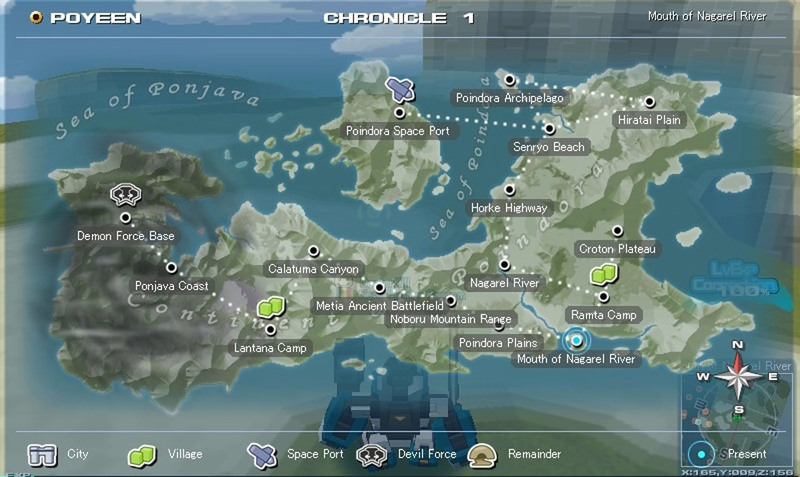 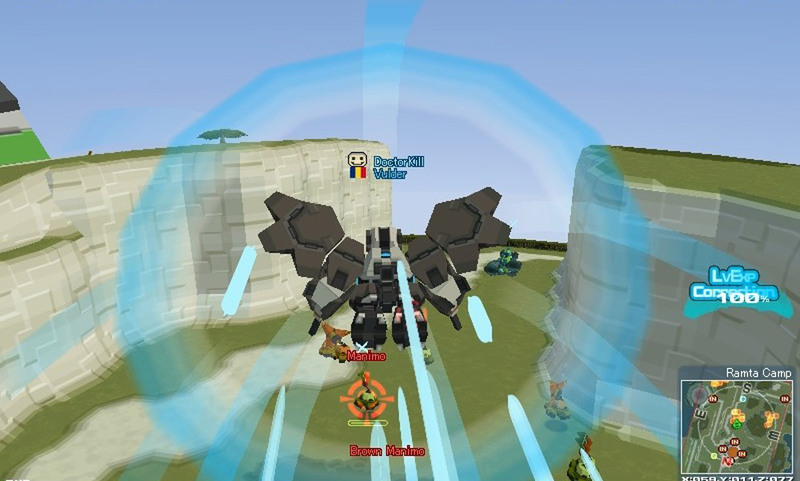 C21 Steel Battle Chronicles (C21) uses FPS controls allowing fast paced battles and enable players to excel through their own personal skill, rather than their equipment, the character from the game will see him in the third person perspective. 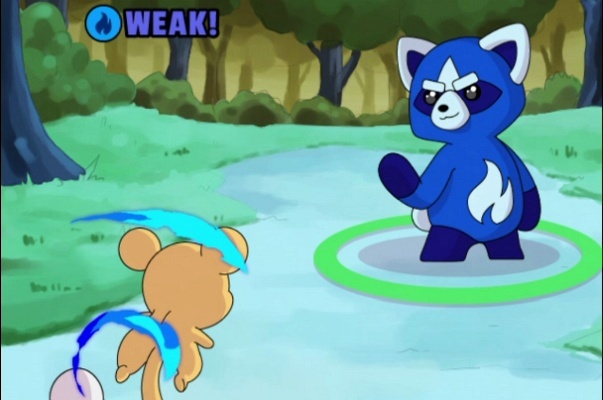 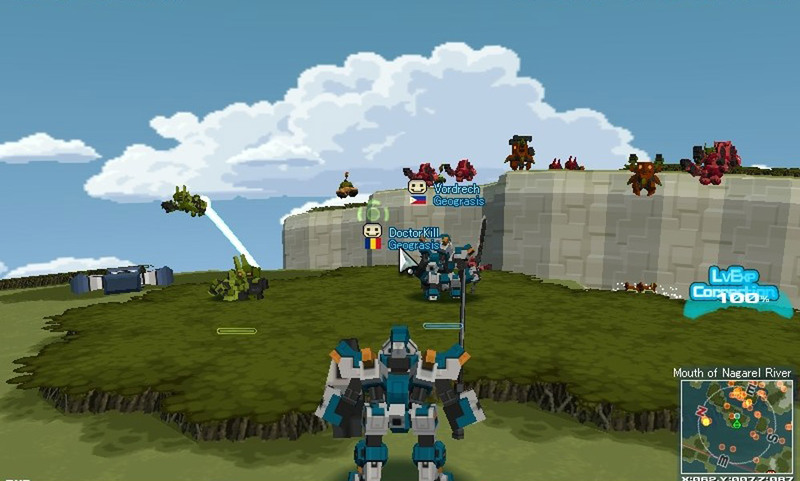 The game is about fighting with robots who in terms of graphics look a bit square, but it seems like the game producers have chosen to look especially like this, as these days is in vogue the retro, old graphic look. 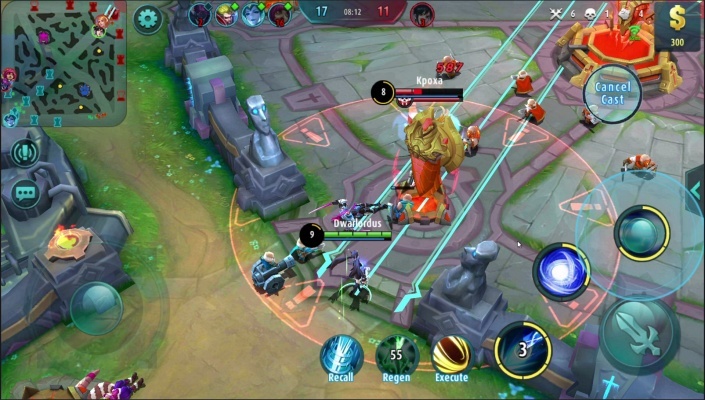 Graphics is not gorgeous it is specially made for a particular niche of players and probably will not gonna like to those of you who put more value on graphic than on the gameplay. 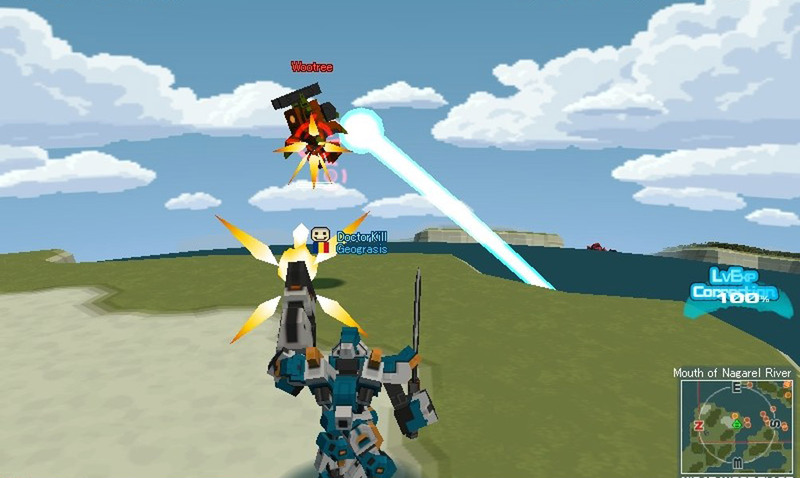 If you do manage to get over the bad graphics you will not regret it because the game is quite fun, bots respond well to commands without strange lags or slow animations. 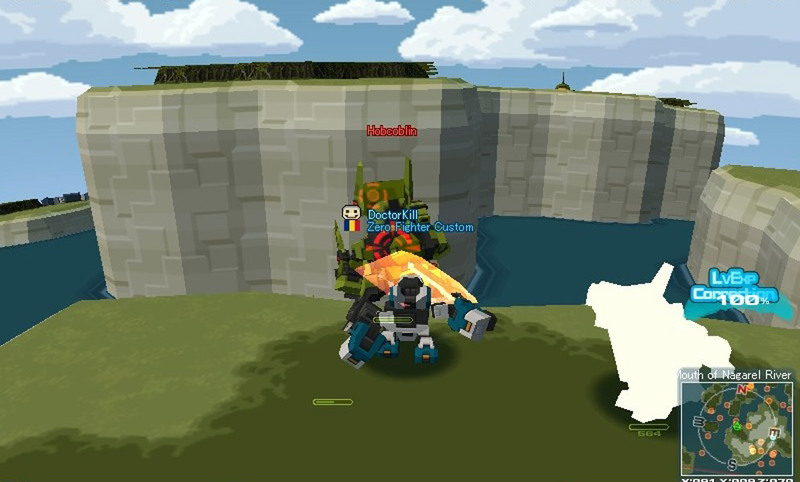 You will feel like a first-person shuter and we all know that they are always full of action and C21 makes no exception to this rule. 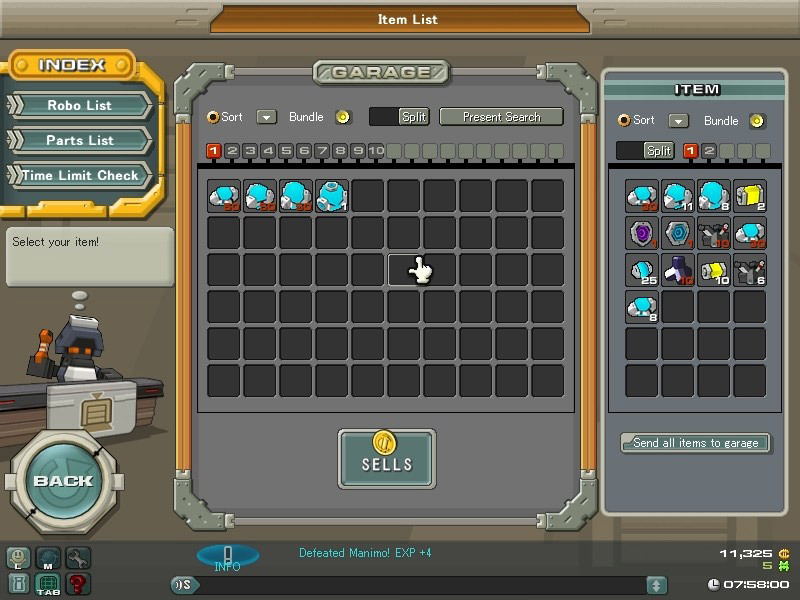 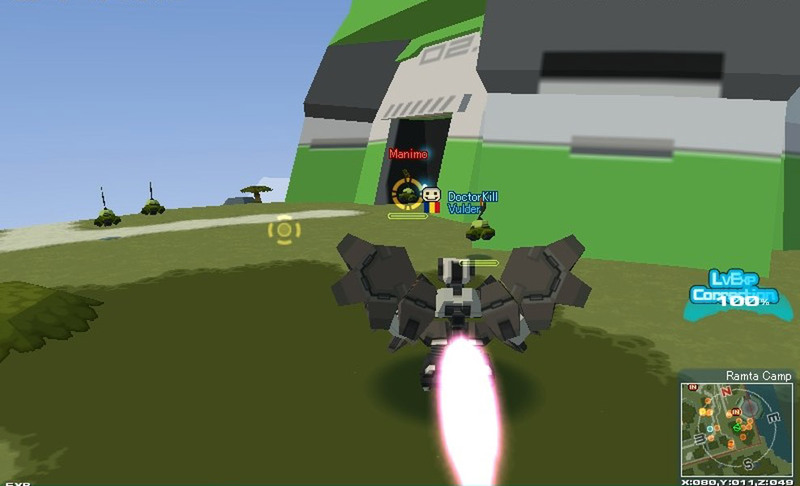 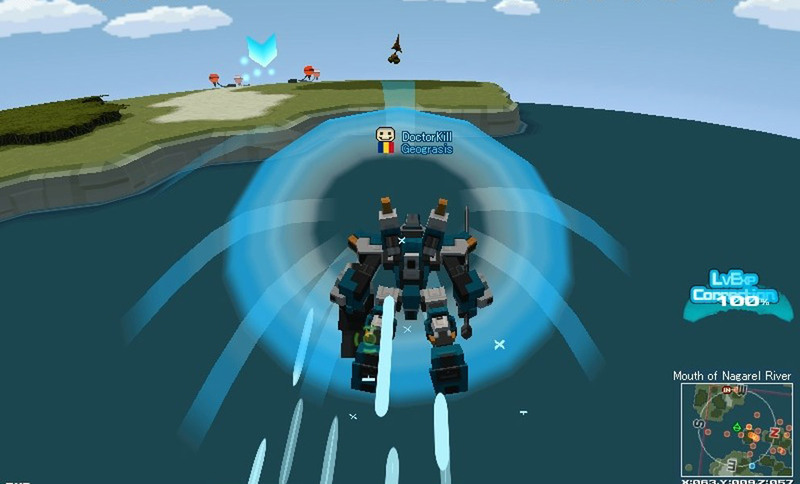 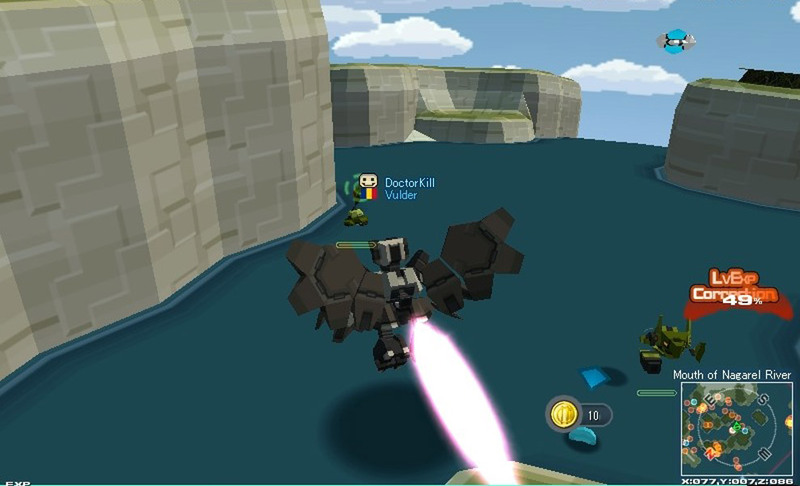 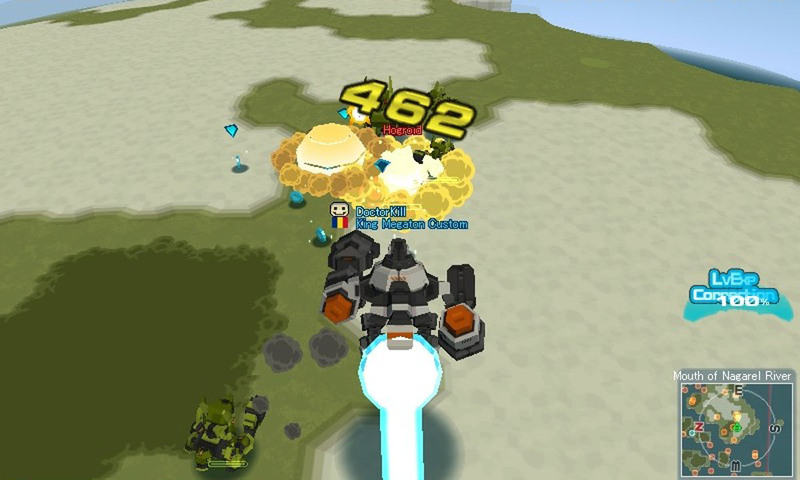 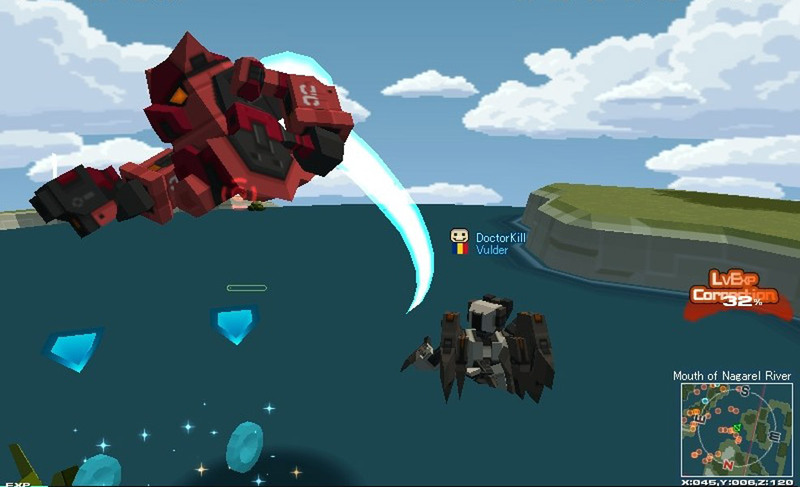 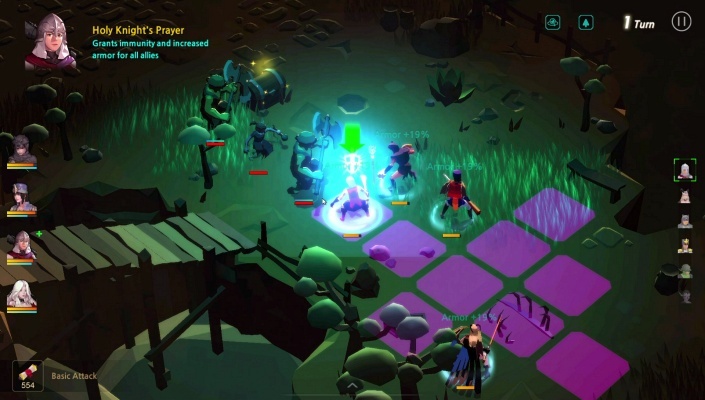 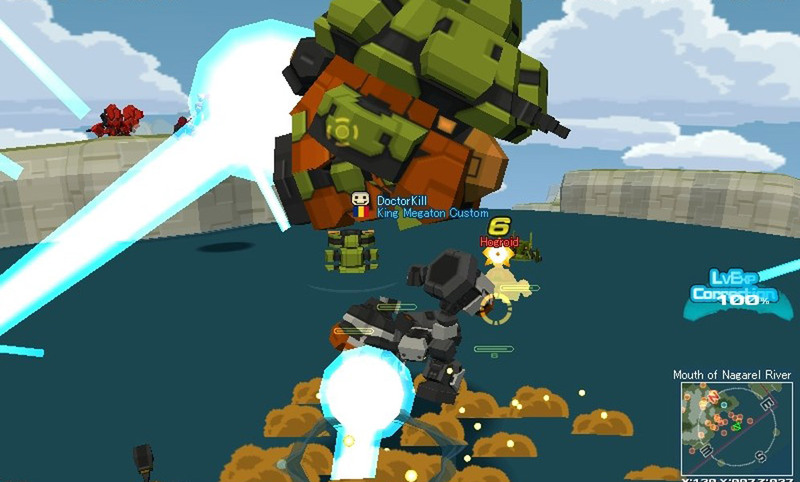 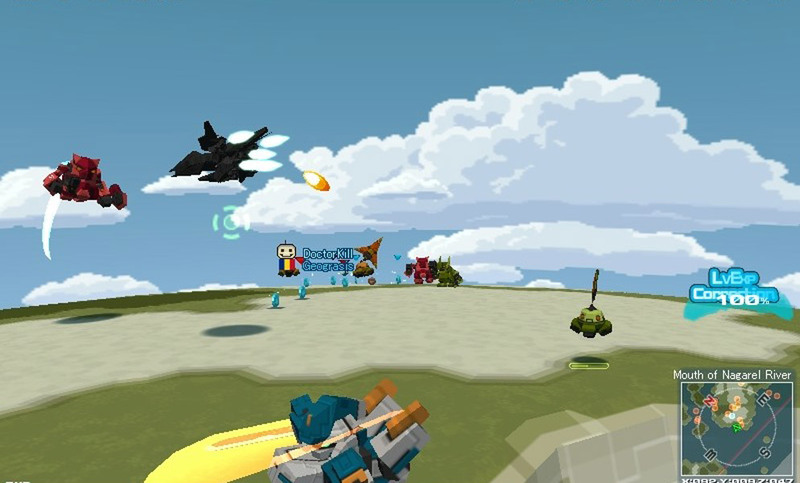 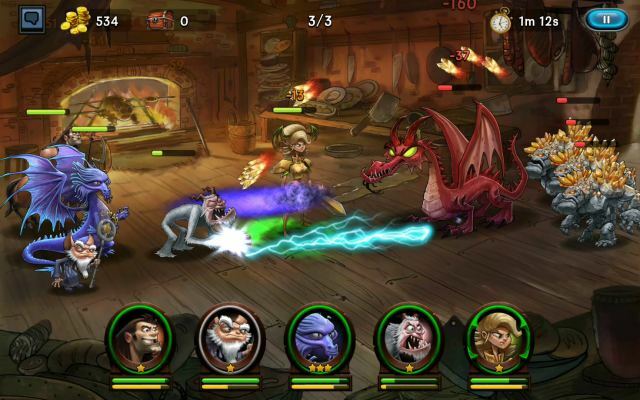 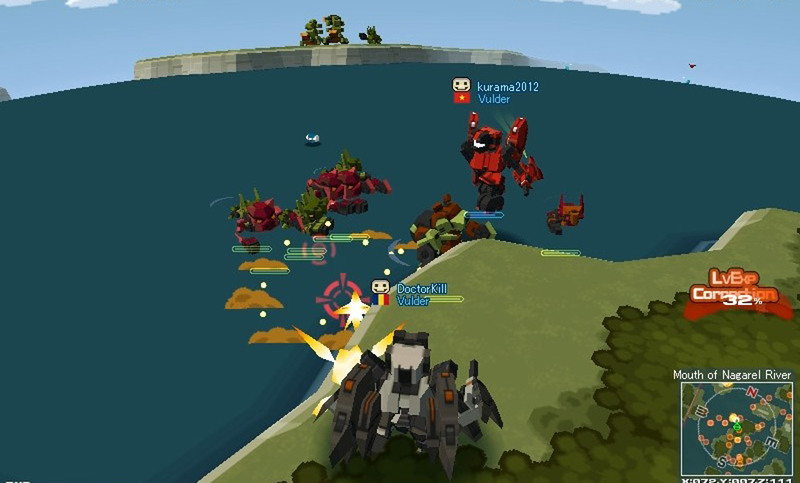 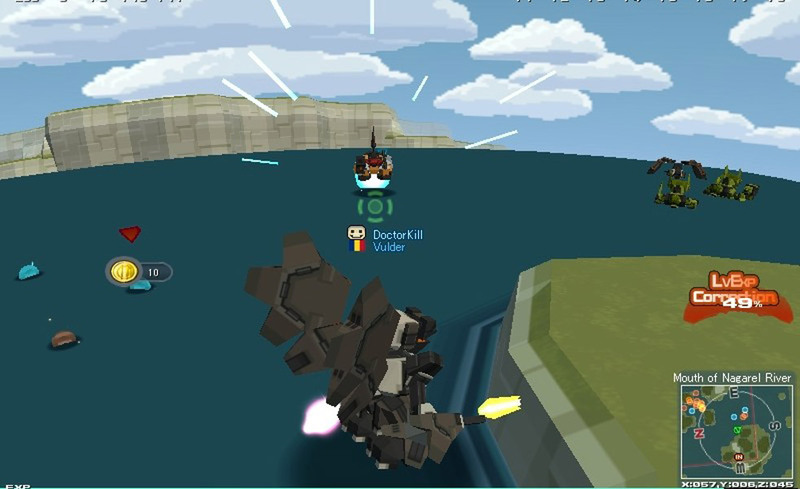 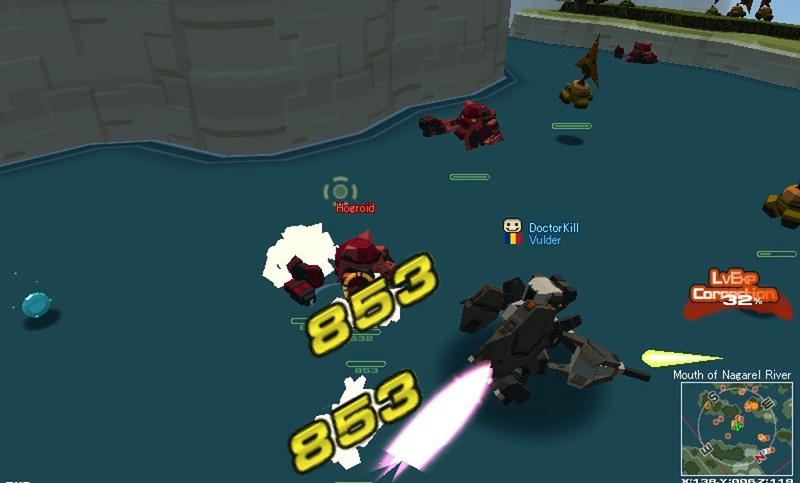 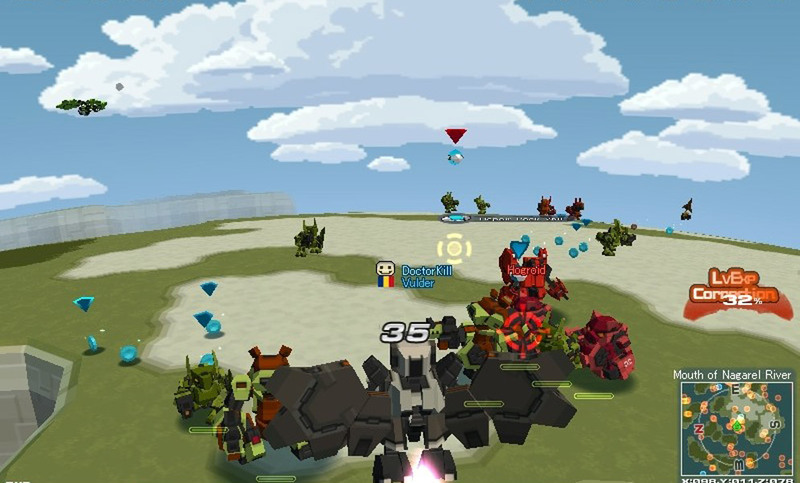 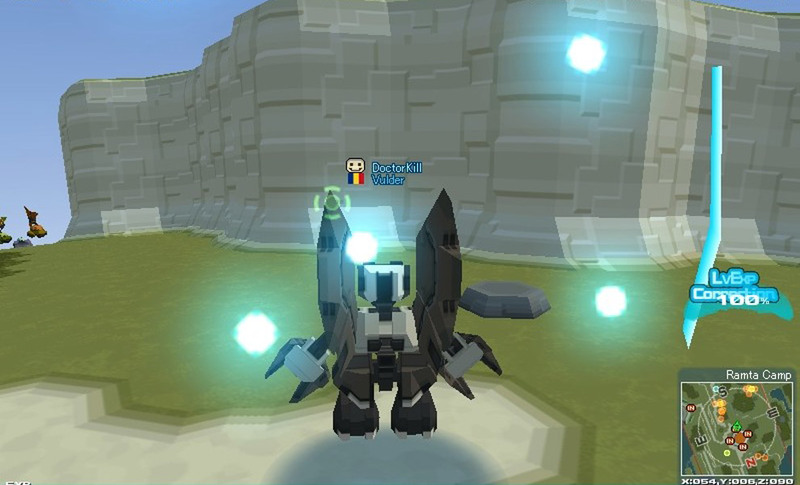 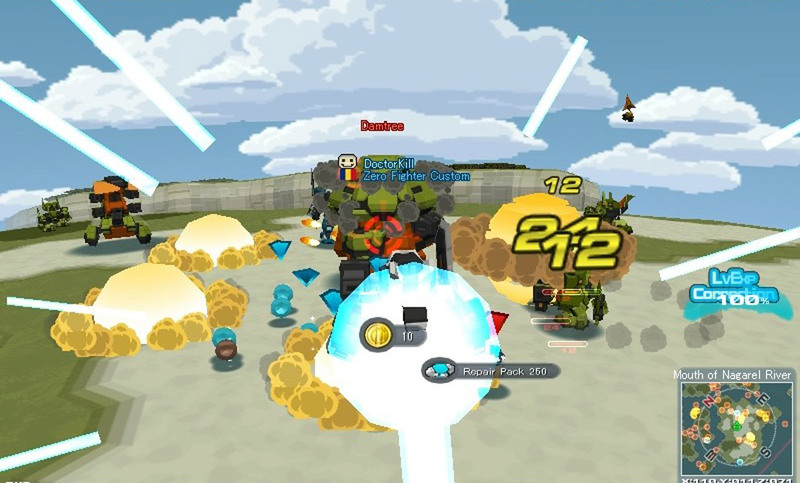 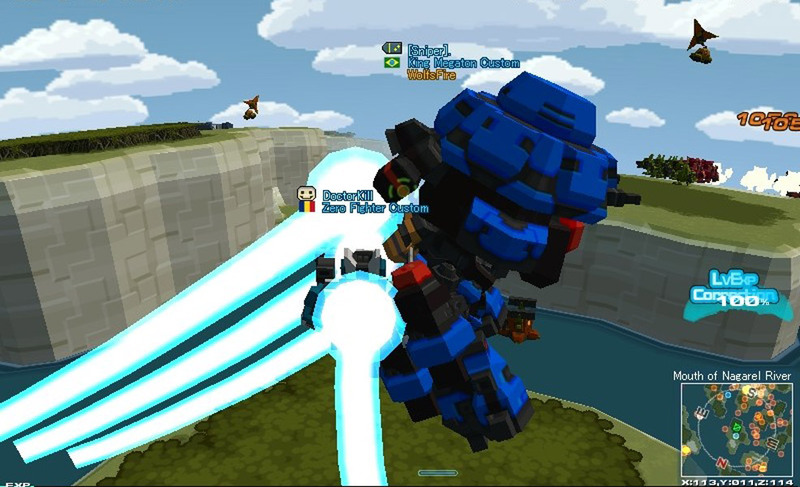 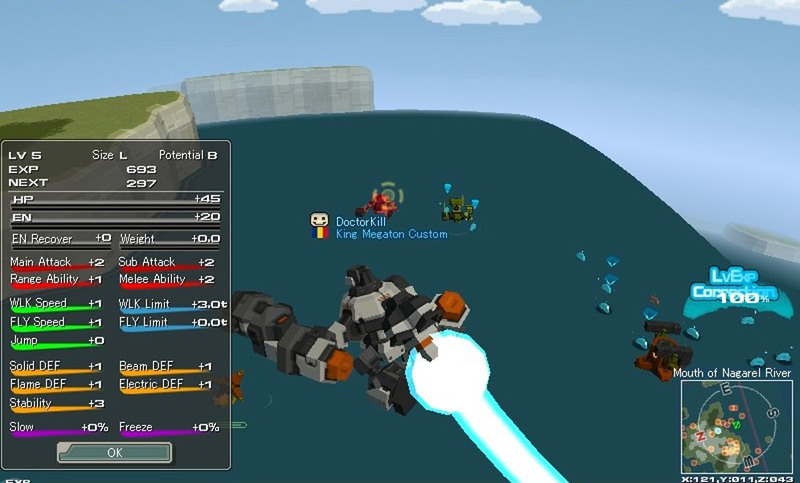 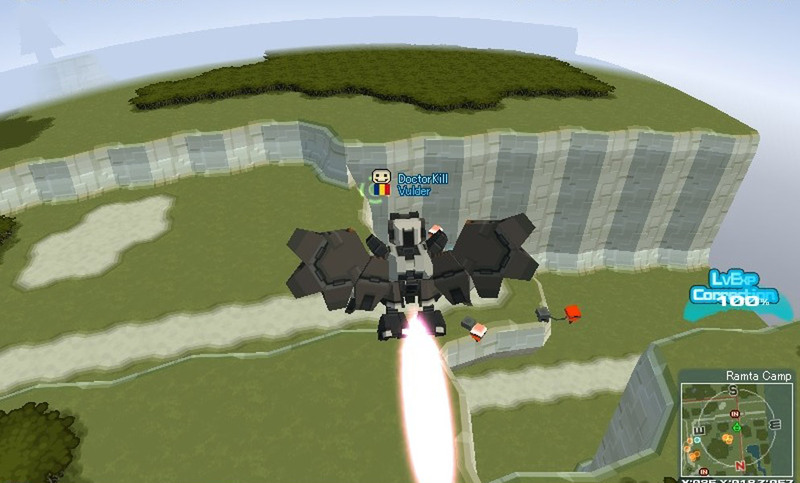 Bots are varied in options of choice and can be customized in different ways, you will be able to engage in both aerial and ground combat on large scale maps that can host hundreds of enemies at a time, allowing for massive battles that will put players against hordes of hostile robots and many crawling, creature things. 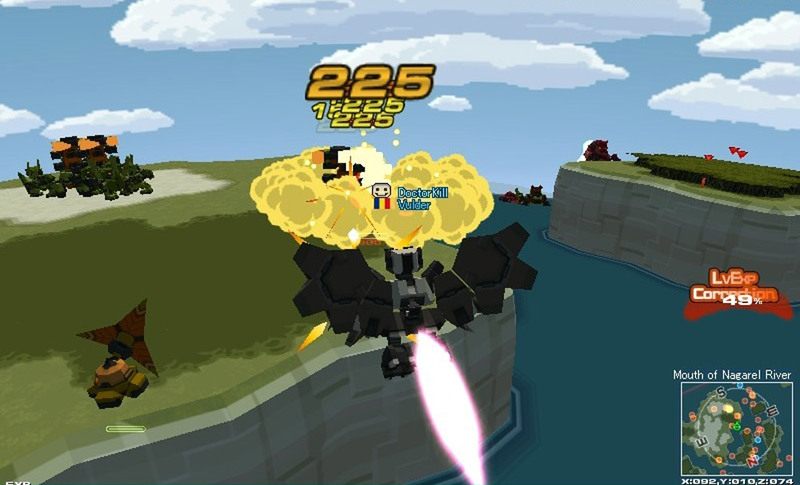 C21 Steel Battle Chronicles overall is not a revelation in terms of new things added to the genre but will satisfy into a relatively high measure the need for action and adventure.